Check out Leesburg Volkswagen for our money-saving service specials, including great deals on tires and tire servicing. 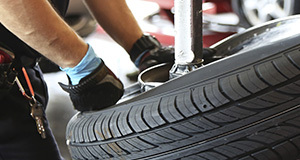 Rotating and balancing your vehicle’s tires evens out tread wear and provides many extra miles of service. If you suffer a collision, an expert wheel alignment will re-establish precise steering and avoid excess wear on your tires. Properly inflated tires with sufficient tread will deliver more economical driving and safer braking. Our certified technicians check the condition of your tires and examine tread wear patterns that indicate potential problems with the vehicle. We have the skills to work on all makes and models, and our tire store maintains a large inventory for your convenience. Integer mollis ex ut pellentesque posuere. Nullam iaculis convallis ante. Cras eu malesuada elit, vitae fringilla lectus. Quisque elit, non posuere magna mattis vitae. Nunc vulputate ac risus et scelerisque. Aliquam in purus elit. Etiam vehicula leo et nulla porttitor, sit amet posuere erat suscipit. Nullam posuere elit at elit placerat porttitor. Nulla consequat facilisis maximus. Pellentesque ornare in arcu eu viverra. Tires can suffer from uneven wear, dipping, scalloping, cupping, saw-toothed edges and many other problems. Our technicians have the expertise to interpret different wear patterns and recommend how to fix the underlying problem. We can replace punctured or old tires, rotate and balance your current tires, and fix front-end alignment problems. Our technicians use advanced diagnostic gear to keep your tires and wheels in perfect working order. If your wheels, axles or other assemblies need replacement parts, you should know that we use only quality OEM parts that meet the standards set by the vehicle manufacturer. 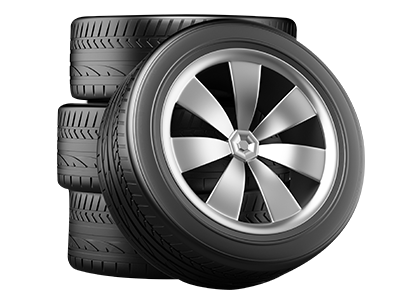 If you need to replace your tires, our Tire Center has a range of makes and styles sized perfectly for your wheels. Whether you are looking for superior performance, long tread wear, or low prices come to Leesburg Volkswagen for all your tire needs.